Forward/winger who joined Napoli in 2012 after spending two years with the Universidad de Chile. 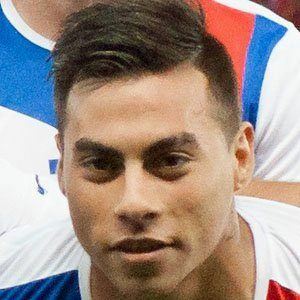 He became a member of the Chilean national team in 2010 and began playing for Tigres UANL in 2017. He debuted professionally for Cobreloa in 2006. He was sent on loan to Gremio in 2013 and Valencia in 2014. He married longtime girlfriend Daniela Colett in 2016. He and Alexis Sanchez became teammates on the Chilean national team.